I want to set back SilverFast to the original state where everything worked fine. Resetting is most easily done with help of the service dialogue. 1. 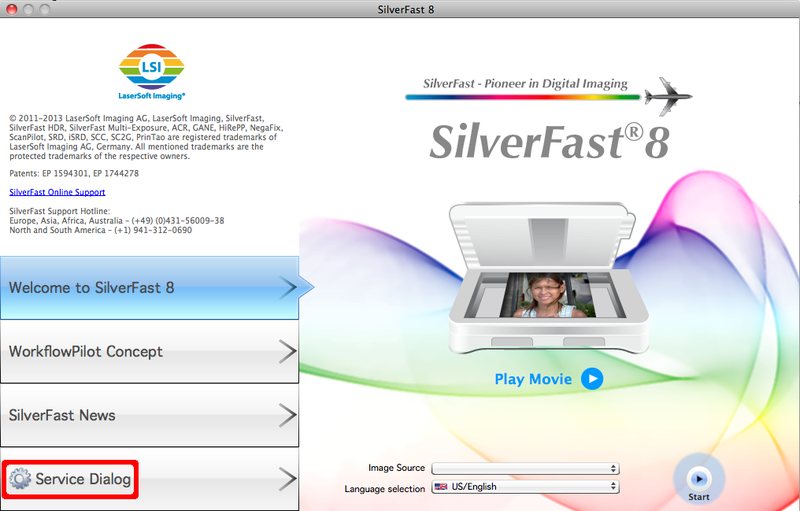 You call the service dialog with the icon just below the scanner selection in the SilverFast welcome screen. 2. 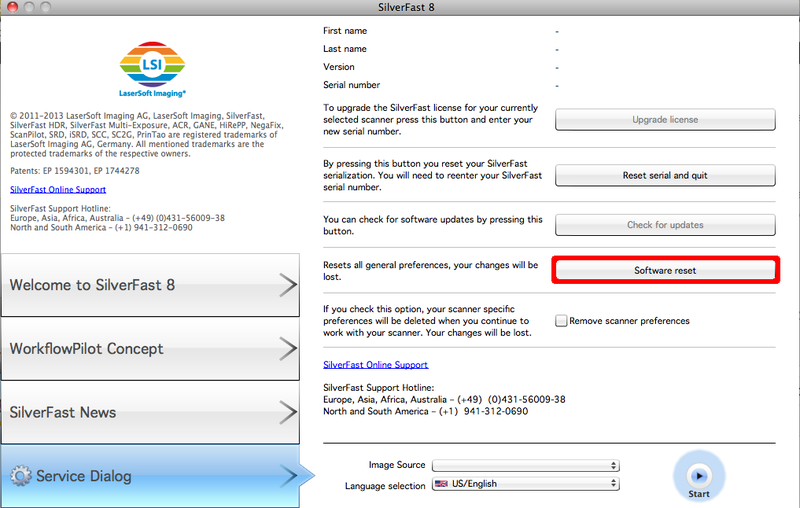 Selecting "Software reset" resets SilverFast to its factory settings. Please note that your saved frames and user settings will be lost! In case you would like to save your settings folder first, you have to do this on folder level.